EFF supporters are demanding that Vodacom pay Nkosana Makate 15% of the revenue it made from the Please Call Me service. The Economic Freedom Fighters (EFF) warned Vodacom that it would trash its stores and rally for a boycott if the cellular network giant did not pay Please Call Me inventor Nkosana Makate what was due to him. Jacaranda News reports that a group of EFF members and supporters marched to the Vodacom headquarters in Midrand on Wednesday demanding that the company pay Makate 15% of the revenue it made from the Please Call Me service. Makate had been in a decade-long court battle with Vodacom over the service, and in April 2016, the Constitutional Court ruled that the two parties should negotiate how much he should be compensated. 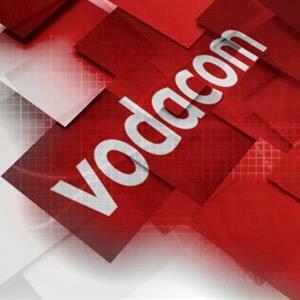 According to reports, Vodacom made an estimated R70 billion from the service, and Makate demanded 15% of that. The company allegedly negotiated for a R10 million offer, which Makate rejected earlier this year. On Wednesday, the group of EFF supporters led by Fanie Sibeko said the cellular giant should pay what was due to Makate. “This is a deliberate delay because Nkosana is nothing else but an African. It has been very long that this matter has been dragging. Constitutional Court took a decision in 2016, and even today we are told the matter will be resolved speedily, and that is unacceptable. “We are sending a message to Vodacom that we have the power, that we can collapse the equity of Vodacom, it’s very easy. We will run a campaign that all people must port to Telkom, which is a government company. We want you to carry this clear message to the executive, what we did to H&M, we can also do it here at Vodacom, you must address this African child the way you should address him, you must give him what is due to him,” he said. [WATCH] “What we did to H&M, we can also do it here at Vodacom,” says the EFF. International retailer H&M came under fire early this year after it published an advert showing a black child wearing a hoodie with the phrase ‘Coolest Monkey in the Jungle’, next to the one worn by a white child that read ‘Survival Expert’. In protest against the “racist” advertisement, a number of people in EFF regalia stormed and trashed H&M stores in Sandton, Menlyn Park and East Rand in Gauteng. H&M has since apologised for the advert.